First started many years ago, this painting represents the completion of a cycle. It shows an Eagle Shaman emerging from the mouth of Quetzalcoatl serpent being . He is spinning from the centre of the Aztec Sunstone which is interlocking with a Sky mandala of light around the Hunab ku. I painted on it at Chichen Itza on 21st 2012 , using models for the figure with authentic Mayan ancestry. 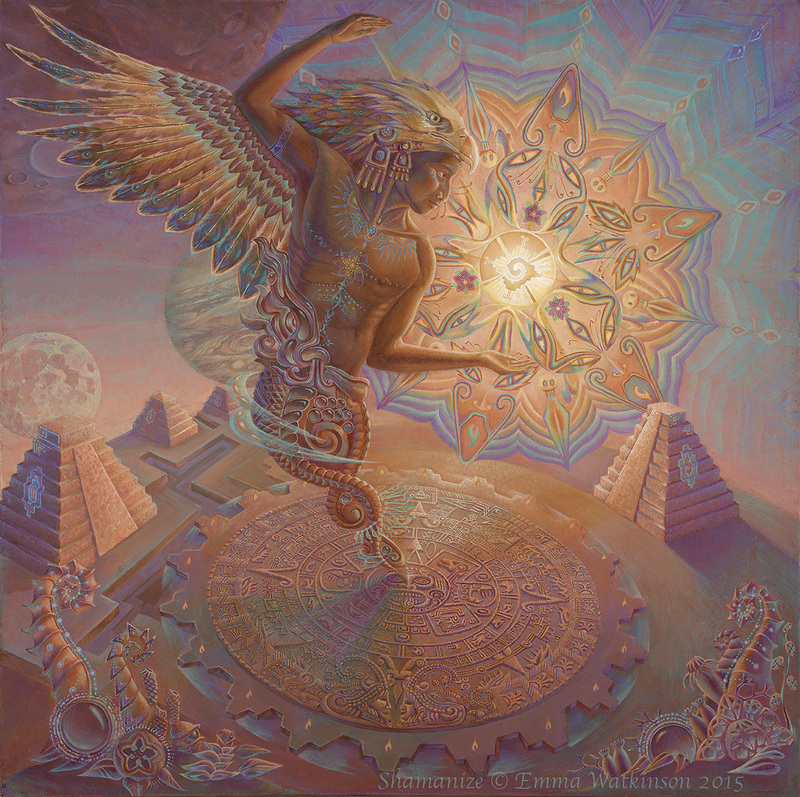 It symbolizes to me the Shamanic shifting of core patterns to align with the incoming light-ray of spirit. We evolve through cycles of time & the wheel of the year in all traditions. Completed around the time of an eclipse, & a summer solstice ritual.